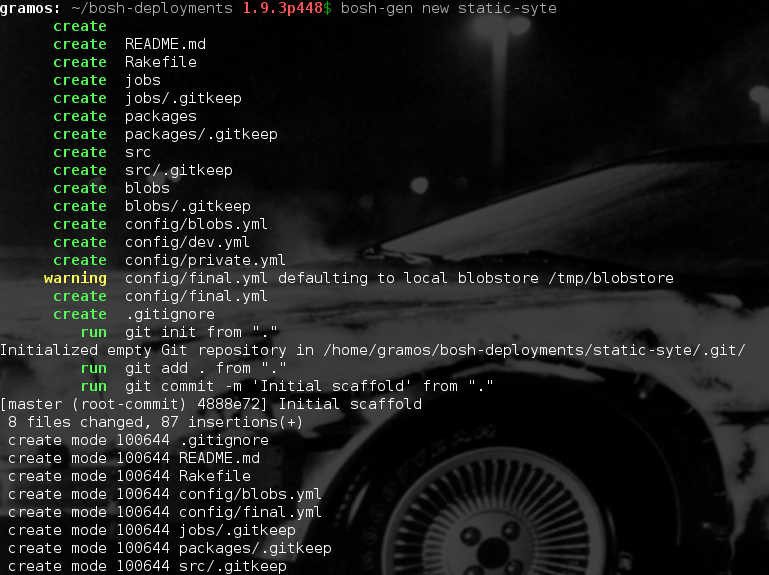 In this post I’ll show you how to create a bosh release to serve an static web page, for this I will use bosh-lite which is a version of bosh for development and bosh-gen which is a bosh release generator. 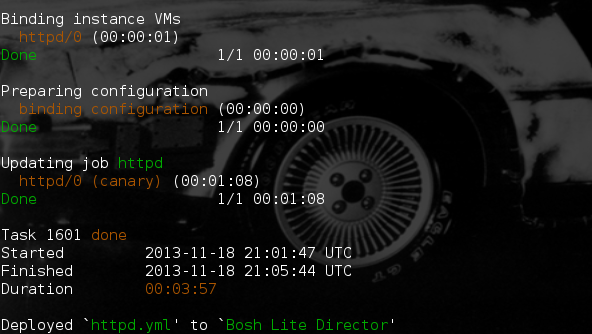 1- Bosh-lite and Bosh-gen and create the release. I already downloaded apache 2.2.25 and staved in ~/Downloads dir. As we can see has created 2 files spec and packaging, packaging is the script that contains the instructions for building our package. 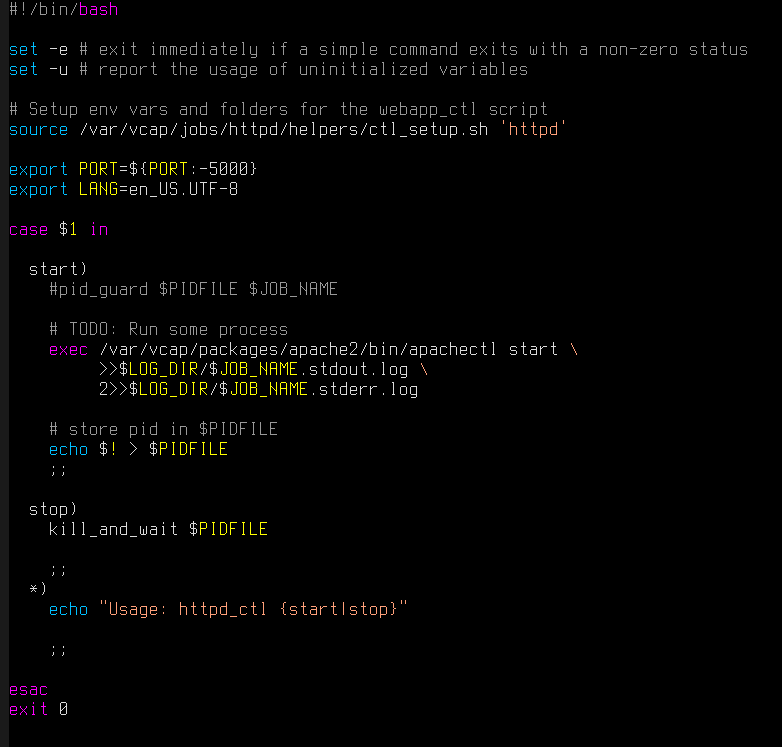 Spec contains among other things the dependencies and files needed to compile our package. 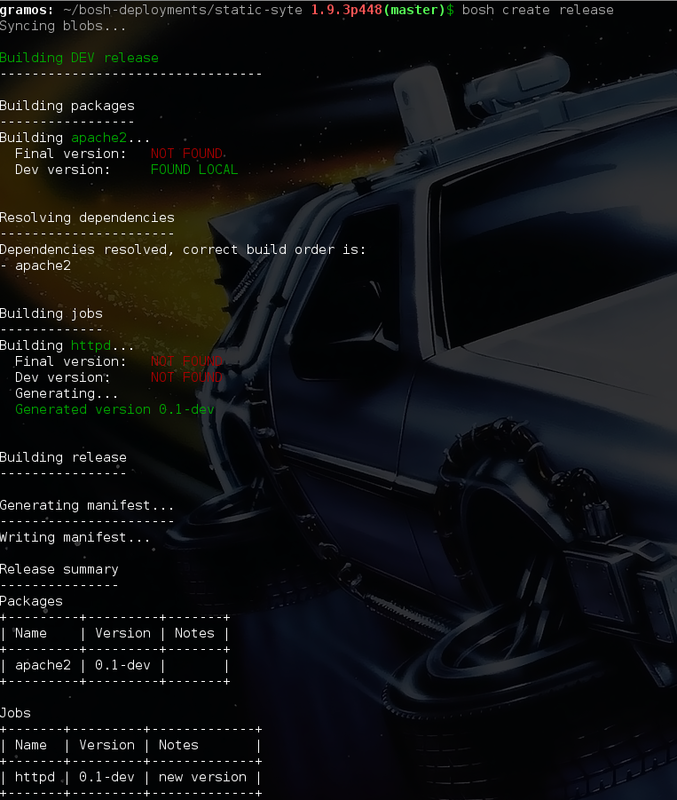 case it uses a helper script created by bosh-gen to help us debug our job. To change the start command for this new job we need to edit httpd_ctl template. We have a package (the bits needed to run our server) and the job (the configurations and scripts to lift the web server process) now we need to create and upload our release. 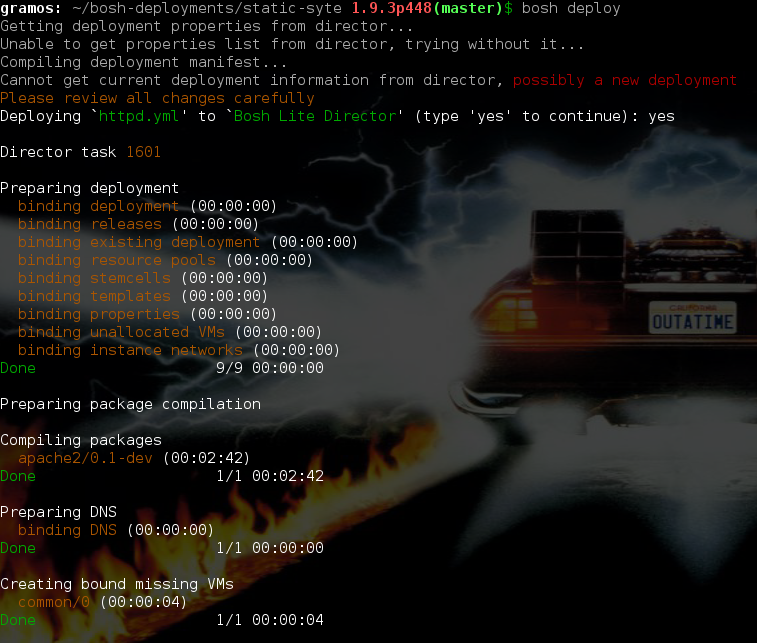 ==> git commit -a -m "added package apache2 and job httpd"
==> bosh-gen manifest httpd . So yeaaaah, we just did our first deploy!!! but this page is not so funny and we need to have the might, the muscle to show our own site! In the next post i will show you how to add a new package for our cool static page. como pueden ver las limitaciones están en la imaginación y el conocimiento de regex de cada uno. Este fué el primer tip Linux/Bash, dicho sea esto, me comprometo a escribir uno por semana. Los ejemplos de este artículo fueron extraídos/copiados del manual de rename (man rename). y ahora funciona perfecto :)… lo único que falta es acostumbrarme. podemos ver los códigos de ls teclas que apretamos, entre otros eventos.